Manufacture Support Stands to carry a SWL of 25 tonnes each. 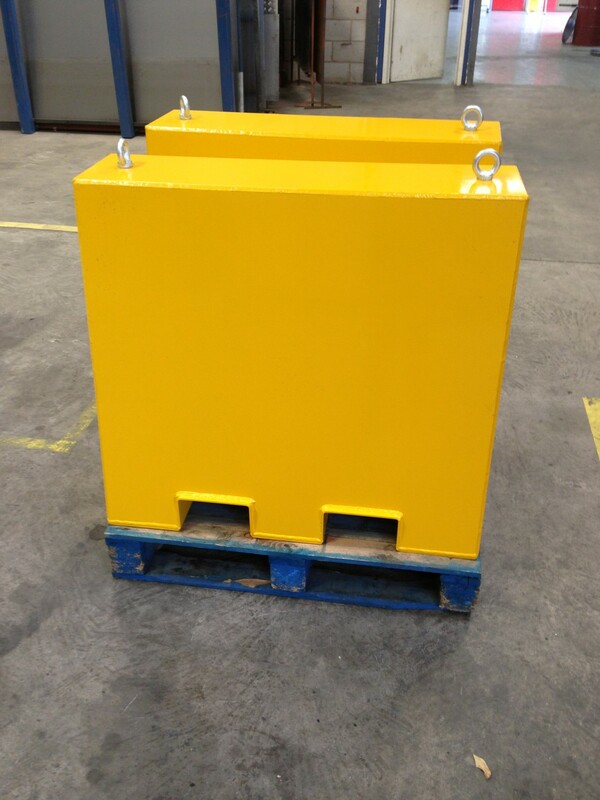 They will be manufactured from 10mm thick mild steel plate and have two channels running through to allow a pallet truck access to move the stands into the required positions. The stands will be tapered from a base of 1000mm x 500mm to a top of 1000mm x 250mm. The height is 900mm from the base to the top surface. The fork access point is approx. 190mm (W) x 110mm (H). The two fork lift access points are approx. 200mm apart. The stands will be fitted with lifting eyes for moving (whilst unlaiden only). The approximate overall size (foot print): 900mm H x 1000mm W x 500mm D.